Get into the newest way of reaching customers without spending a fortune. Track where your leads come from by using various keywords in your advertising. Setup automatic text response to customer requests. Immediately respond to new customer inquiries without being tied to a phone. Keep in touch with your customers by utilizing texting for special offers. Setup an appointment reminder calendar to automatically send texts to customers. Implement as many or as few features as you want or feel comfortable with. Free-up your time so you can run your Small Business more efficiently and effectively! 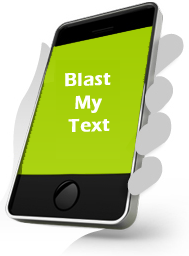 Easy Mobile Text Messaging including Shuffle Response.